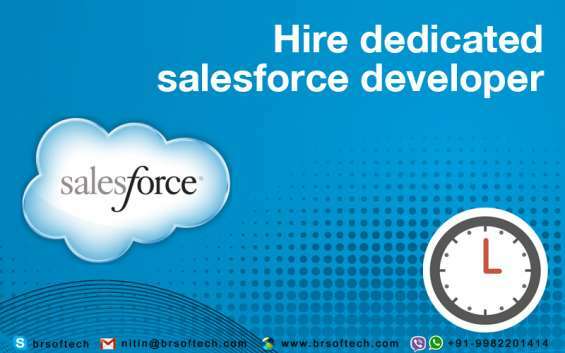 You can hire a dedicated Salesforce developer working on offshore and onsite from our offices and your location at a very nominal cost. Hiring a dedicated Salesforce resource means you have an administrator or a Salesforce developer working exclusively for your projects. 1. Salesforce Customization: We can customize and personalize your Salesforce CRM solution according to your business needs. 2. Salesforce Custom Application Development: We provide a variety of custom development solutions to suit your business recruitment's including cloud application solutions development. 3. Salesforce Integration: We offer secure, reliable, faultless & scalable integration with other multinational companies on-basis applications & external cloud services.